Colour: Radiant, warm amber. 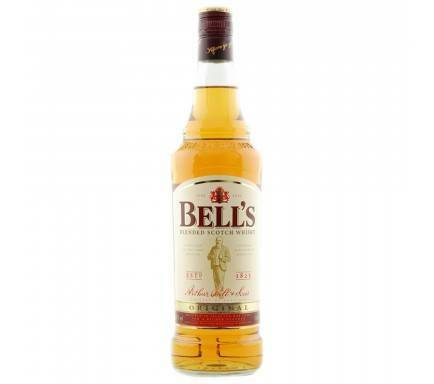 Nose: Na aromatic infusion of Wild herbs, heather, honey and orchard fruits. 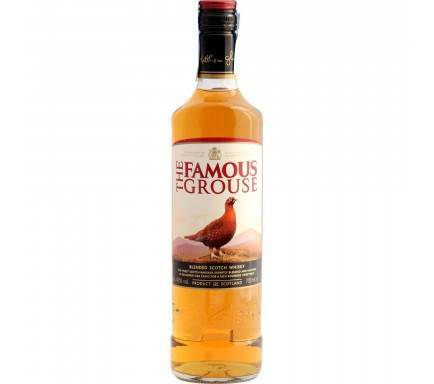 Taste: Round and creamy with a full, rich taste of honey and ripe apples, with vanilla, hazelnut and butterscotch notes. Finish: Rich and lingering. 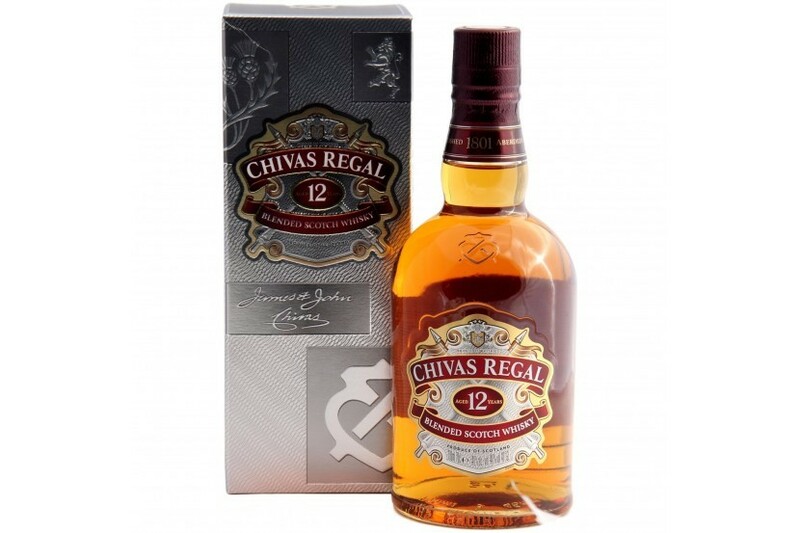 Chivas Regal 12 is a blend of many different malt and grain Scotch whiskies, matured for at least 12 years. 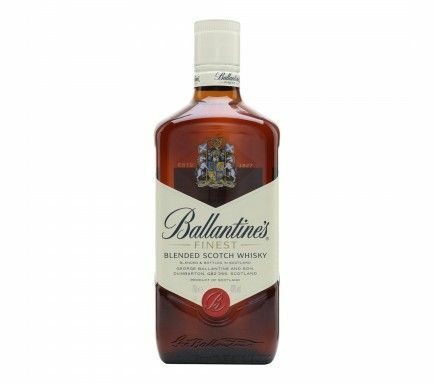 This rich, smooth blend combines style with substance and tradition. 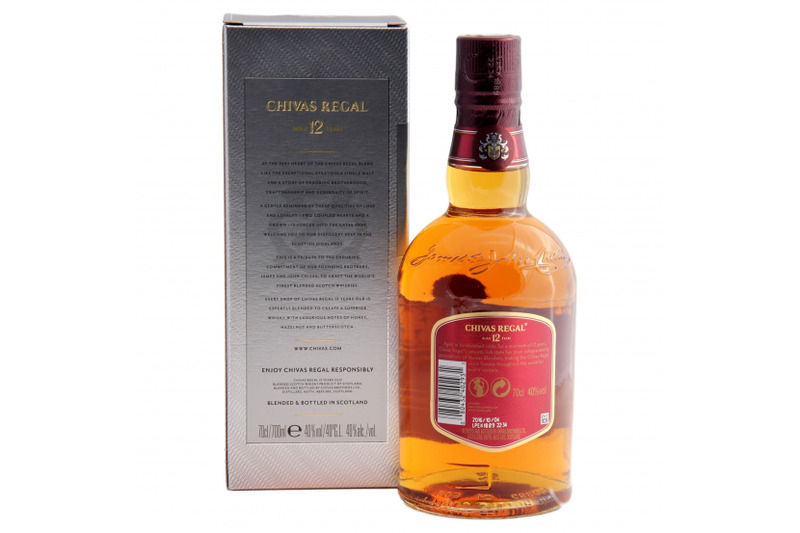 Central to the ethos of the Chivas blend is 'maintaining exceptional'. Each and every cask of whisky has a unique signature taste. The final character of the spirit is influenced by an almost infinite number of variables, many of those focused on the not-so-humble cask. The age and quality of oak used to construct the cask. The consistency of climate within the warehouse. The precise position within the warehouse where the cask ages. Taking control of these variables, embracing the nuances and crafting a consistently smooth whisky experience is much more than a mere process. 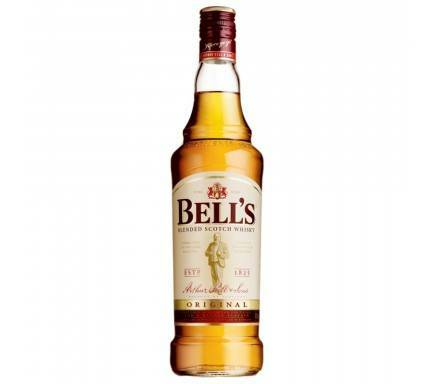 Perfecting the blend using only the very finest ingredients became the hallmark of every bottle that left the business. A hallmark that lives on today. There is no conflict when it comes to the ingredients in a Chivas blend. The symbiotic relationship between each and every whisky is essential. Balance is key. Control the ingredients. Consolidate the flavour.